With 2016 officially half over, the celebratory nature of the stock market is being masked by another telling trend: Defensive sectors are outperforming higher risk areas. Formerly hot groups drenched with elevated risk like solar energy (NYSEARCA:TAN) and biotechnology stocks (NasdaqGS:IBB) have fallen out of favor and are down more than 20%, putting them into bear market territory. In early January 2016, ETFguide PREMIUM sent a timestamepd XLU buy alert to readers and it’s been among our top ETF trades thus far in 2016. The chart below plots XLU (S&P 500 utilities) versus the SPDR S&P 500 ETF (NYSEARCA:SPY). As you can see, the performance advantage of ho-hum utilities continues. Top holdings inside XLU include NextEra Energy, Dominion Resources, and Duke Energy. Altogether, XLU holds 28 U.S. based utilities. 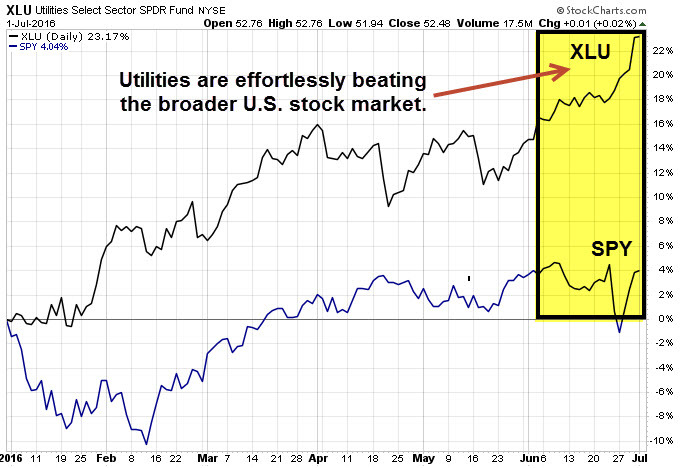 The outperformance of utilities versus the broader U.S. stock market is not a new trend. Over the past three years, XLU is ahead by 57.18% compared to a gain of 36.38% for the total U.S. stock market (NYSEARCA:SCHB). 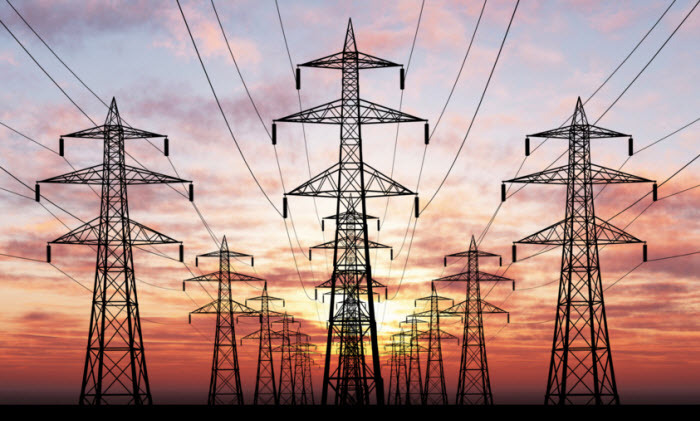 The fact that a defensive sector like utilities is outperforming compared higher risk equity sectors along with the broader market, indicates an ongoing change in market sentiment. Risk aversion is becoming a more prominent theme. This is also playing out elsewhere. For example, the outperformance of bonds – especially long-term U.S. Treasuries (NYSEARCA:TLT) – over stocks shows how market sentiment has become more defensive. Utilities are among the smallest S&P 500 sectors and represent less than 4% of the total S&P 500. XLU has just over $9 billion in assets and charges annual expenses of 0.14%. ‹ Are You Still Investing Without a Margin of Safety?